Last Thursday, I returned to running with the Striders again. It felt so good to be back for a Thursday tempo run. Even though I started earlier than the group and ran the first couple of miles by myself, it was so great to see my running friends, squeeze some much needed hugs and smiles out of them and catch up with everyone. The run wasn’t too shabby either. Not great, but for me it was more about getting back into the routine of running on early Thursday mornings again. Friday, Little Lion Man and I went to the Y so I could get my Body Pump on. 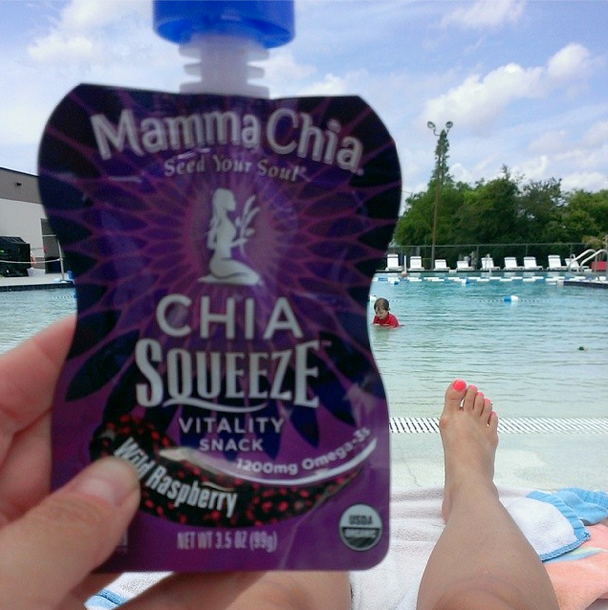 Since weather has been so sunny and lovely, we splash around in the pool after Mommy’s Pump class. On Saturday, I registered for the Running For All Children 10K which my friend Leah shared with me. I needed a May race so I could earn my first wedge of the Time of the Seasons Medal. 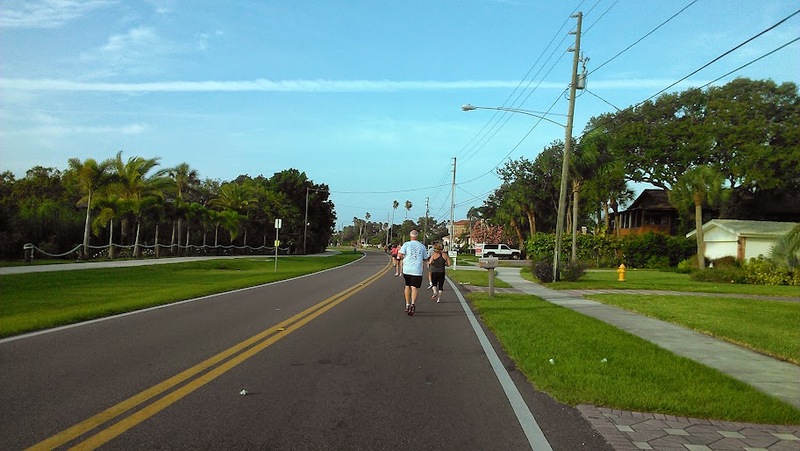 It was hard to choose between Miles for Moffit or Running for All Children, but in the end I decided to run this race because my niece and my son have received services from All Children’s Hospital. 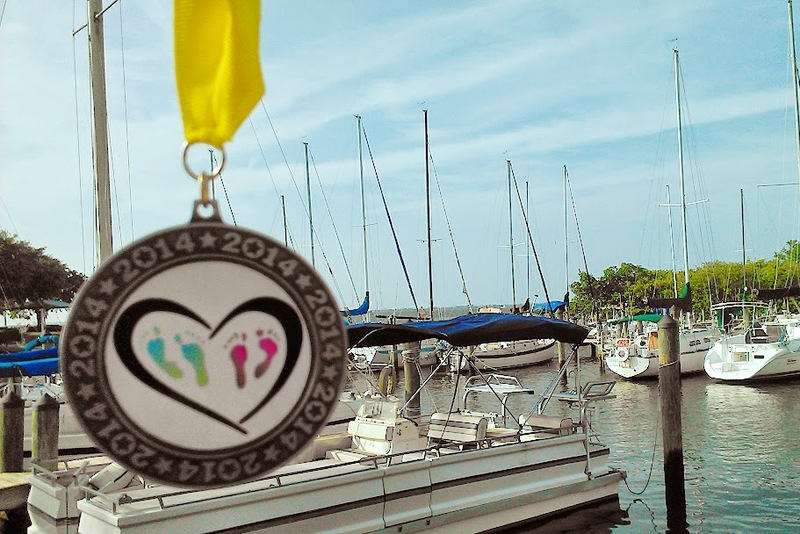 Running this race was my way of giving back to a fantastic facility and hospital staff. The small intimate race followed the same course as the inaugural Best Damn Race. 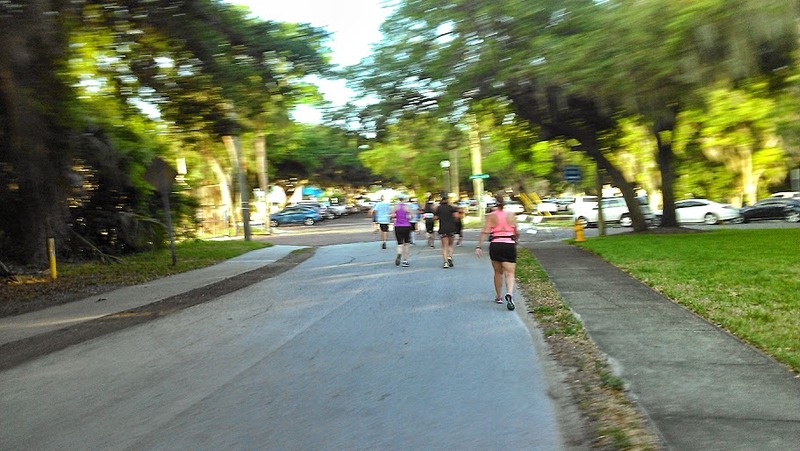 As much as I love downtown Safety Harbor, the “hills” are always a shock to my system. The start line began at the Safety Harbor Marina and the weather seemed cool at first, but the breeze off the bay fooled us. Before the start of the race, I sucked down a raspberry Vega Endurance Sport Gel because it matched my outfit I knew I would need the pick me up and the electrolytes in the heat. I was right about that because once we stared running, it warmed up quite quickly. 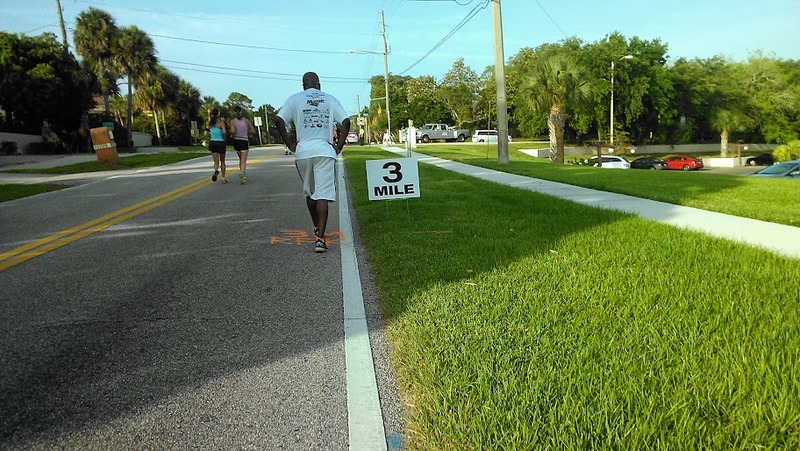 By the time I reached mile one, I decided I would stop at each water station along the course to stay hydrated. At the very first water station, I quickly gulped down some water to keep a decent pace. Once I hit mile two in the heart of downtown Safety Harbor, I was ready for more water but sadly there wasn’t a water station yet. The next water station didn’t appear until the 2.5 mile mark, the 5K turnaround. Apparently, a few of the 5K runners missed the 5K turnaround and ran longer. As for me, I didn’t miss any water stations, but I did keep missing Leah even though she snapped several photos of me. A “hill” conveniently sprung up at mile three. Although I wasn’t happy to see a hill, I pushed along. Just after mile three, we turned to run along a street which led us to a wooded trail. I was grateful for the shade and the change of scenery. Once over the hill and after some much need rehydration, I pushed it to the finish line. It wasn’t best 10K great race, but I suffered through some Florida hills and heat for a May race to earn this cute medal handed to me by the cutest beauty queen, who also happened photograph me before the race. 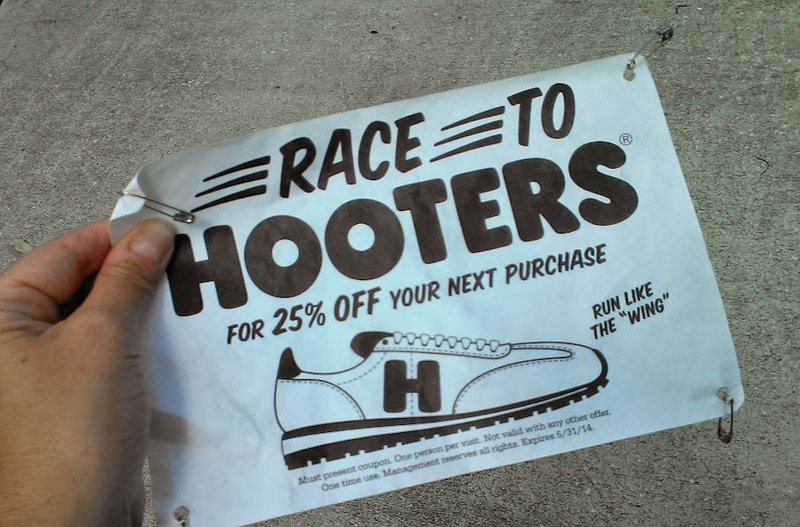 Not to mention I also scored this awesome 25% off coupon for Hooters, because y’all know how much I love my wings! YES! To my surprise, I finished in the top ten for my age group…just barely. For a small, hometown race, the post-race party rocked! There was beer, bagels, fruit and my new personal favorite, breakfast pizza. Oh yeah! That little post-race delicacy has inspired me to create my own breakfast pizza very soon. 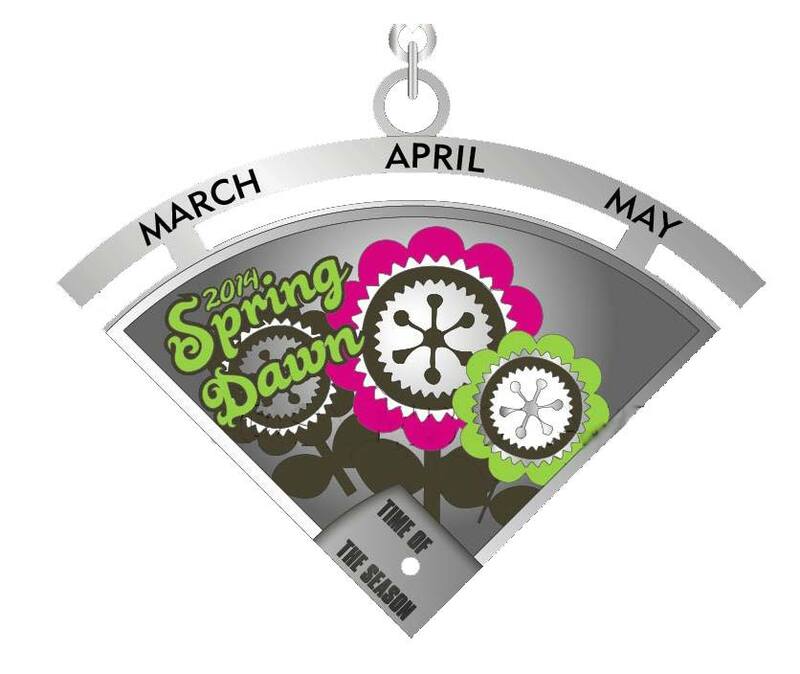 By running two races in March, one race in April and this 10K, I will receive my first little slice of the seasons medal. WOOHOO! Today, I decided it was time to get serious and back into Track Tuesday. Ok, so it wasn’t exactly a track workout or speedwork but more a chance for my body to adjust running on Tuesdays again. And boy, did that feel good! Although once again it was a less than stellar run, I just loved being back into a running routine again. After the 4 miles, I stopped by the Y for an Express Body Pump Class. My legs felt like rubber bands and I loved it. I think I may rest tomorrow and save my legs for another tempo run with the Striders this Thursday. This entry was posted in family life, fitness, fun, health, Hip moms, Life, moms, running, sports, Sweat Pink and tagged 10K, family, fitness, friends, fuel, fun, Hip moms, Life, moms, race, recap, Run DMT, running, Suncoast Striders, Track Tuesday, training, Vega Sport. The Time of the Season Series is a neat idea. You made me go look, I did three runs in March but zero in April. If they do it again next year I’ll have to join! Oh, and I could definitely get behind a race that ends with beer and breakfast pizza. Hope your Mother’s Day was fun and relaxing!